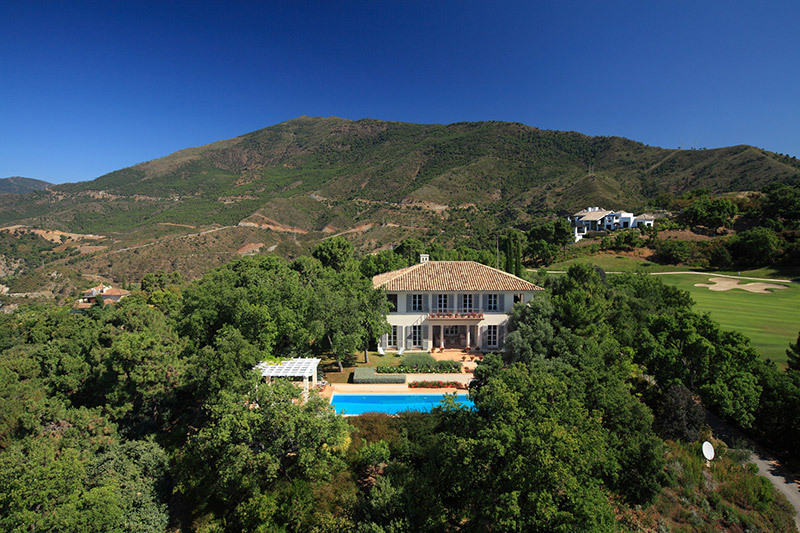 After a sharp drop in 2008 and 2009 it looks like the property market in Spain – and much of Europe – has bottomed out. In other words, the sector seems to have found its lowest level, the point at which production and prices level out and no major new drops are recorded. Normally this would be the point at which we could start looking forward to the early signs of recovery, but in the current circumstances the situation isn’t quite as simple as that. As one of the main drivers and indicators of an economy, the housing sector is cyclical – both heavily influenced by financial and economic conditions and itself a strong influence on the economy and money markets as a whole. Working in cycles means that it follows periodic growth spells during which increased demand and prices lead to heightened activity and increased investment in the property sector. When growth in the economy slows down there is a delayed reaction but gradually the property market cools off too, with prices correcting themselves and both construction and property sales slowing, sometimes quite suddenly. 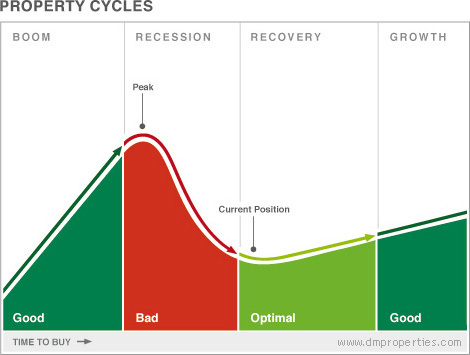 In itself this is a natural and regenerative cycle that feeds both investment and capital growth through property ownership. It mirrors the mechanism of the economy as a whole, yet traditionally provides more security and solidity in bricks, mortar and land than can be had through stocks, bonds and most of the other forms in which we store our wealth and savings. The problem arises when, like the stock markets, the property sector overheats and becomes speculative. In simple terms it means the market – made up of builders, developers, agents, town halls, investors and buyers – becomes greedy and throws traditional practice and common sense to the wind. In such a market, (over)production is driven by speculative property development, with constructors expecting to sell ever-increasing volumes at rapidly growing prices. Many of the people who buy do so with the idea of making money in the short term, and the emphasis in the market shifts from supplying homes that are needed and desired as end products, to using property as a rather wasteful source of easy money. The problem is that this is not sustainable. By allowing itself to become greedy and overproduce, the property sector – in Spain above all – has saddled itself with around 1.3 million unsold properties. Supply originally accelerated to catch up with strong demand, but didn’t adjust itself when it started to surpass (real) demand. What’s more, driven by rising property and production prices, not to mention their own profit targets, many developers became sloppy, building homes poorly and in increasingly undesirable locations. This enormous surplus stock, most of which has been constructed during the past four years, will take years to get rid of – a fact that doesn’t bode well for the Spanish construction industry. It amounts to a question of ‘feast today and hunger tomorrow’. The downturn is a normal cyclical phenomenon, but the extent of it is the direct result of the excesses of the recent past. However, the bleak picture does not extend to all segments of the property market, and not to all of Spain. This segment, made up of the apartments and townhouses that line Spain’s various Costas, was at the centre of the construction frenzy in recent years and as a result will suffer the most. It is within this category of real estate that most of the unsold and currently unwanted stock can be found. In real terms this means hundreds of thousands of often poorly built and unattractively located properties, in many cases squashed together in batteries of concrete that defile the countryside. With construction in this sector practically halted, sales collapsed and a huge quantity of unloved stock to get rid of, prices have started dropping fast, in some cases dramatically. It is here that most of the so-called ‘distressed properties’ and subsequent bargains can be had, with discounts of 50 per cent or more not unusual, yet there are also those developers and private owners who are willing to wait until the market eventually recovers. In the case of this segment that may take five years or more. The other segment that drove the construction industry and the national economy is good old-fashioned primary housing. Largely focused on the supply of apartments and townhouses for growing cities such as Madrid, Barcelona, Valencia, Zaragoza and Seville, to name a few, this sector focuses on housing as a first-residence need, not a holiday home luxury. It also differs from the others in that it predominantly caters to a local market, and is therefore very closely linked to the national economy. As elsewhere in Europe and North America, the financial crisis also had an immediate and powerful impact on this part of Spain’s property sector, with over-supply, economic recession and the temporary freeze on mortgages causing a sharp downward spiral. Having said that, and in spite of the fact that the Spanish economy is one of the last in Europe to emerge out of negative growth, the prospects for the primary housing market are considerably better than for the first category we described. As Spain emerges back into tentative growth, banks start lending again and life resumes its normal course, this market will gradually recover – without the scars and huge losses in value that will affect the large-scale second home market. Currently, prices in the towns and cities of Spain have dropped by between 10 and 30 per cent, and while there is considerable unsold stock here too, an eventually resurgent demand for what is a bona fide need will fire a slow but gradual recovery within the next year or two. Replacing the word ‘luxury’ with ‘quality’ is actually more apt, as even in early 2009, when the full force of the international crisis was manifesting itself, the demand for quality homes in quality locations remained strong. It is well documented that both the wealthier and poorer segments of society are normally less acutely affected by a financial crisis than the broader middle segment, which uses credit as a lever for upward mobility during periods of prosperity and growth. With economic recession and the falling away of lending it was those with liquid means who stood to gain as conditions changed from a seller’s to a buyer’s market. Initially, it was largely this group of people who continued to buy in markets such as Marbella, seeking and finding quality real estate in quality locations. Gradually, as prices in the luxury segment started dropping – or correcting themselves from unrealistic highs – the prospect of value for money and investment began to manifest itself again in this market, adding another kind of demand for quality real estate. Within this picture much depends upon the individual situation of the seller, as those who need to sell will discount even fine homes by up to 30 per cent while others have no need to drop the price at all. On the whole, however, prices in this portion of the market have fallen by between 10 and 20 per cent, enabling buyers with liquid means to seek out the finest property in the Marbella area at prices last seen about five years ago. As this market is already bottoming out and a gradual recovery has set in, the next two years will be an optimal time to buy for those with cash and those with access to credit, which is slowly returning to the market too. It has all added up to a soft landing for that portion of the market that stands out for its quality, revealing that the intrinsic demand for fine homes in good locations such as Marbella remains essentially as high as ever. 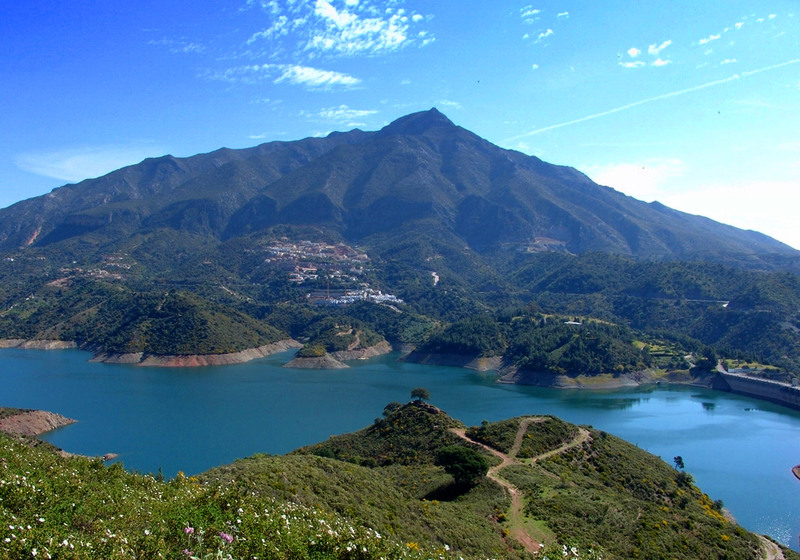 We need not over-emphasise the climate, lifestyle and natural beauty of Marbella on these pages, though it is exactly this mix of ingredients that makes it so unique within Europe – and gives it an enduring appeal. A combination of over-supply and lacklustre demand has caused prices in the mass-segment for second homes to drop, at times dramatically. For poorly built, high-density properties in unfinished or undesirable locations the picture is particularly bleak, as the desirability of this kind of real estate will remain low for some time to come. Not recommended for end-users, even at huge reductions, nor for short-term investors. Remember, you get what you pay for. However, heavily discounted properties form attractive longer-term investments. Using cash or their own access to credit, investors are buying whole blocks at a time. Key here is bargaining power and the ability to sit back and wait. In the end the real estate market always rights itself, as economies return to growth and land is a finite commodity. More attractive ‘mid-range’ properties are better, yet have not dropped as much in price. Take your time, view as much as you can and you will start to find some really good buys. Here, time is on the side of investor and end-user alike, but don’t expect immediate returns. Properties that offer value – value for money, quality of build, design and amenities, and good locations. This is why much of Marbella has retained its desirability and prices have adjusted themselves enough to become interesting to buyers, but not so much as to cause concern. Most of the current buyers use their own capital, but gradually banks are starting to lend again. In spite of the fact that sales in the Marbella area are picking up again, particularly in the mid to higher end, this is still a buyer’s market where those with the means to buy can take their time and select the finest properties in the best locations. Prices have returned to pre-2006 levels, serious sellers are more amenable and it is now possible to find some real bargains. This situation has prompted some investment driven buyers back into the market, though now they buy selectively and for the mid to longer term, where they can be expected to make excellent returns on their investment. Already, some of the very best bargains are starting to be snatched up as the market slowly turns a corner and begins its gradual ascent towards recovery and growth. The next two years provide an excellent opportunity to buy good real estate at historically attractive prices. Look for well-built and well-maintained properties in established areas. Avoid buying in urbanisations that are half-finished or poorly occupied, as the level of maintenance and services will lack the critical mass required. It is therefore important to keep an eye on how well kept the gardens, streets and other immediate surroundings are. Also, don’t buy near an unfinished project or one under construction. With such a broad offer of fine homes in prime locations there is no need to compromise on quality. Like most cyclical markets, the real estate market moves in three main directions: upwards, downwards and horizontally. Most people wrongly believe that the best time to buy a property is when the market is in boom and moving upwards. While this can be good for wily short-term investors who dip in and out of the market in quick succession, it is not the way most of us buy real estate – or should. The thing is that by the time ‘normal’ people are aware of a property boom it is already well under way and prices have risen considerably. Clever investors, even those who buy a home to live in or as a longer-term investment, prefer to enter the market at an earlier stage, when prices are lower, choice is greater, overall conditions for buying better, and the potential capital gain over the longer term is at its greatest. That is where we are at the moment, a time when prices have reached a periodic low-point, interest rates are similarly at their lowest level in many years, and the offer of real estate favours the astute buyer. This is exactly why those people currently buying in Marbella not only have the means to do so, but also the savvy. Many are not new to this area, but know it well from years of visiting. Some have even lived here before, so they are familiar with the local real estate market, the lifestyle, the different suburban areas and the type of property available. Such a buyer comes with a sound knowledge and is currently in a perfect position to do very well, but even sensible people new to the area can make the most of the prevailing conditions. Much has been said about the low Pound vis-à-vis the Euro as a factor in the price of overseas property in relation to British buyers. Britain’s high public deficit has indeed put pressure on the pound, but a similar situation in parts of the Eurozone has caused the Euro to drop too, thus softening the discrepancy between Euro and Pound. In reality both currencies have fallen in relation to the Dollar. Another factor that reduces the impact of the lower Pound on non-Euro buyers is the interest rate, which currently stands at an historic low. As of 31 March 2010, for example, the Euribor one-month rate stood at 0.397% and the three-month rate at 0.634%. Since most banks are lending at Euribor +1% or even lower it means that currently mortgages can be had – or existing ones renegotiated – at rates as low as 1.5% – 2.5%. Moreover, as banks slowly begin to provide financing again, the competition between them acts to the advantage of the buyer. In addition, the region is well serviced with professional mortgage brokers that act on behalf of buyers to secure the best possible rates and conditions. Between price levels and interest rates, current conditions provide the ideal moment to buy property, though banks are far more cautious than in the recent past and are lending only to those who can safely carry the debt. A large proportion of the unsold stock of property mentioned earlier has fallen into the hands of banks as developers and buyers alike could not meet their financial obligations and repossession remained the only option. The banks do not relish this situation, and have in many cases tried to avoid repossession through more lenient terms or conversion to interest-only loans. In spite of this they now sit on hundreds of thousands of unsold properties whose theoretical value is hard to convert into cash. At least, in the near future. The problem is that many of these properties were built – and valued – during the latter stages of the property boom. If the banks were to sell them at their real market value today they would incur large losses, and so they have largely sat on them over the past two years, releasing small volumes to groups of investors or for sale through auction. However, eventually even the banks will have to offload more of these homes and the expectation is that they will not be able to wait the full term until the market recovers completely. Most likely they will release property at reduced prices but will do so in stages. Yet even if circumstances force the banks to flood the market with heavily discounted real estate, this will have a downward effect on property prices in general, but also attract large numbers of buyers (both investors and end-users) back into the market and kick-start the property sector as a whole. Even in such a scenario, where volume sales would return to the market at the expense of heavily reduced prices, the impact on the luxury market will be limited. 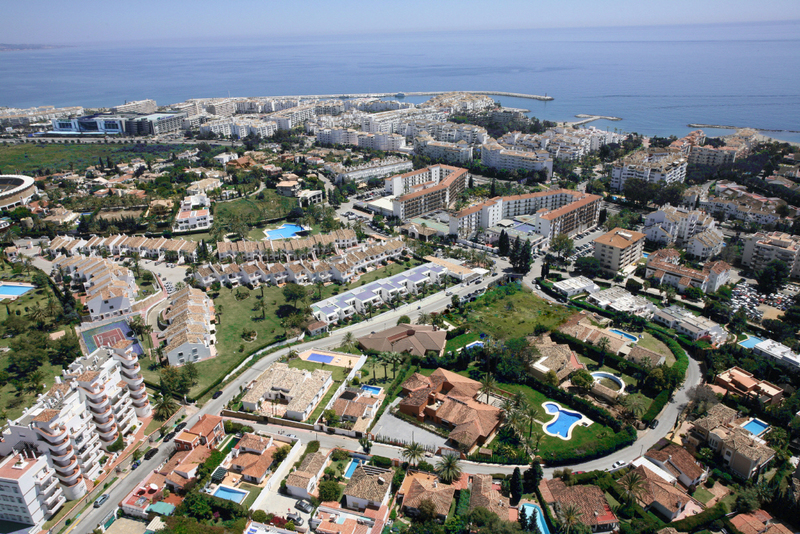 Since the vast majority of stock currently held by the banks belongs to the mass-produced lower end segment, the effect on the luxury market in locations such as Marbella would be slightly lower prices balanced by a slight increase in buyers. In other words, the prospects for the mid to high end of the market are now quite robust. After years of dispute and uncertainty regarding what is and is not possible in terms of planning, zoning and construction, the Marbella Town Hall finally approved the PGOU on the 24th of March of this year. It is intended to form the blueprint for urban planning and zoning for the years ahead, and as such will play a very important role in attempting to avoid the planning irregularities and building excesses of the (recent) past. 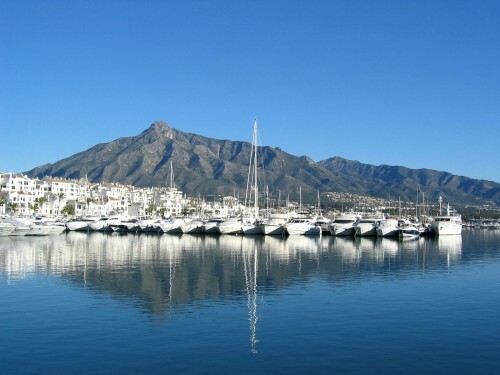 A problem is that the PGOU has to some extent divided opinion, with some believing it not to be pragmatic enough whilst others think it is not sufficiently unequivocal and does not do enough to right the wrongs of the past and begin to rebuild the image of Marbella and trust in its municipal and legal structures. On the whole, however, the ratification of the plan means Marbella has a firm planning guideline, and one that most would agree is a definite improvement on the situation of the past decade or so. Those property developers and home owners that are not protected by the plan will have recourse through the courts, but for the rest the plan at least creates clarity in terms of what is and isn’t legal, and how to proceed from here. As a result, investment can now begin to flow more freely, safe in the knowledge that there are clear rules with which to engage. In so far as its own urban planning is concerned, the new PGOU embodies a desire to move forwards and invest in the quality and scope of the infrastructure of the region, with €234 million reputedly earmarked for new and improved roads alone. The central government will play its part in the upgrading and maintenance of facilities, whilst environmental projects include new water reservoirs, water recycling plants, water treatment facilities, flood defence systems, beach conservation and the creation of new parks and recreational areas. In addition to such external and planning factors come the local ones that can have an influence on the value or desirability of real estate in an area such as Marbella. Situated at the heart of the Costa del Sol, the town has maintained its appeal largely because of its beauty – relatively unblemished by years of construction – its glamorous reputation and the standard of facilities and services offered. Where Marbella has changed since the last recession of the early to mid nineties is that it now has a solid year-round population, made up not only of locals and foreign retirees but also a cosmopolitan professional population who work locally and internationally, shop and live locally and send their children to school here. Together they form the core of a year-round population that is added to by tourists and wealthy visitors and owners of second homes, the latter visiting ad hoc at any stage of the year depending on their preference for golf, the serenity of the winter months or the sun and social scene of summer. Today Marbella can count on a highly evolved infrastructure that includes schools, colleges, fashionable shopping, dining, entertainment and sports facilities and a bustling social scene, as well as professional services and modern communications. 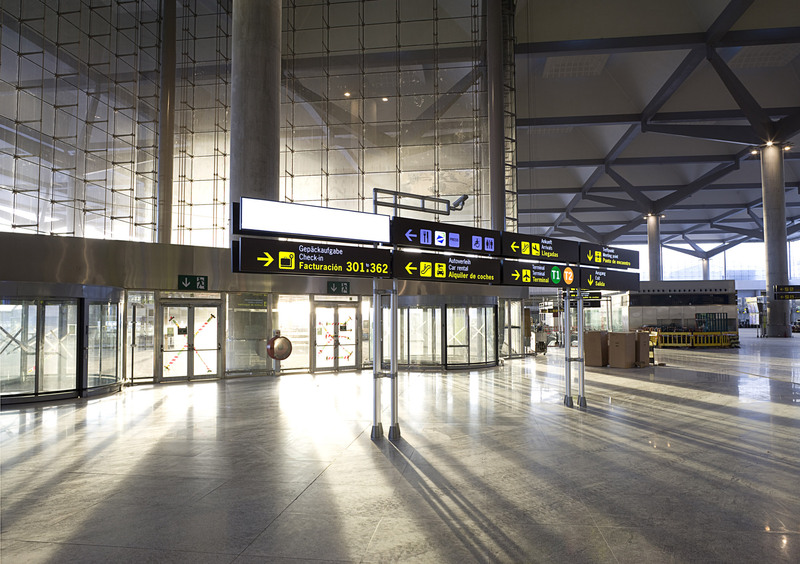 The latter, especially, has been the focus of recent investment, as bypass highways, high-speed rail connections between Malaga and Madrid and a new state-of-the-art terminal at Malaga International Airport attest to. The new terminal greatly increases the handling capacity and efficiency of the airport, whilst the next stage of this investment in the region’s future includes a rail link that will connect the coastal towns to Malaga’s airport and the city’s beautified centre, now a popular cultural, shopping and tourist destination in own right. Together they combine to spell out a confident future for a region whose mix of sunny lifestyle, accessibility and first-class amenities continue to make it one of the most desirable regions of Europe. Reproduction of any part of this article is strictly prohibited without written permission of the authors. Ask for it.